Spellbound is the name of the newest collection by Natalie Cole. 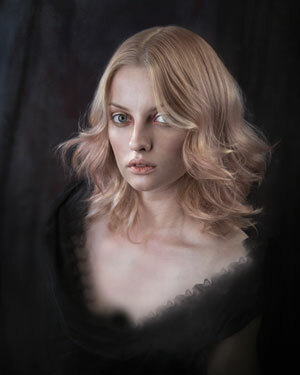 Delivering a strong sense of mystery Natalie Cole’s stunning hair collection ‘Spellbound’ reveals dark and moody images that cast a deep and mysterious spell. With a combination of textures and free-flowing movement these images draw you in illuminating their elegant shape, pleating and pastel colours.